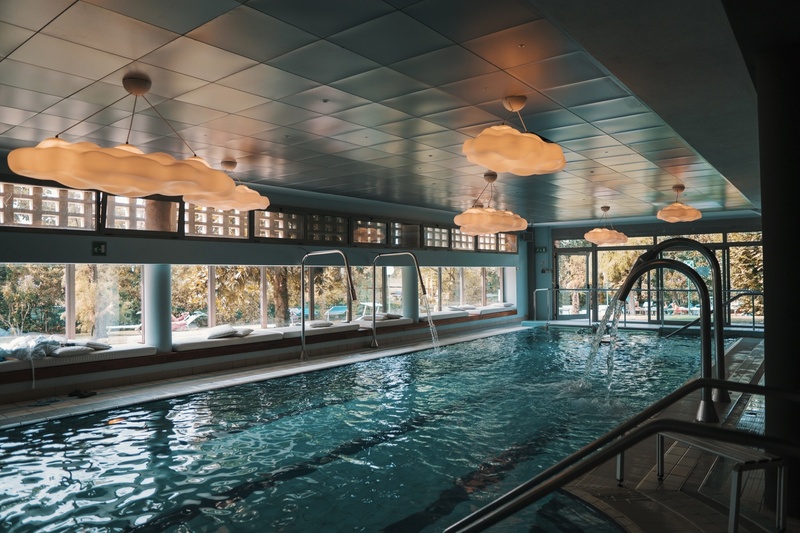 Those of you who decide to stay at Hotel Terme Salvarola will have free access to the pools, sauna and steam baths, where you can relax and regain the energy you need to go back to work with enthusiasm. There are 5 Thermal pools with magnesium sulfate waters that are beneficial for the musculoskeletal system, the cardiovascular system, to prevent cellulite and skin imperfections. These treatments are carried out thanks to hydromassages, water games and hydropath treatments at different temperatures (25°, 32°, 35°, 38°). Many specific courses are held in our pools, such as water gym, pre and post-natal gym, gym for seniors and much more for adults and children in their courses dedicated. The 40-45° steam bath and the 65-85° sauna are relaxing and purifying and are accompanied by aromatheraphy and colour therapy.